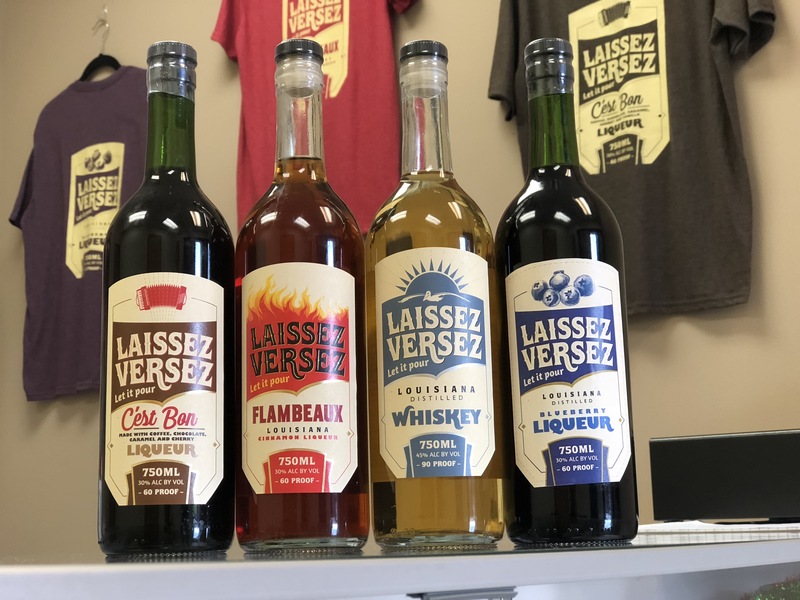 Louisianans are well-versed in letting the good times roll, but now they can let it pour with Baton Rouge’s newest distillery, Laissez Versez. Founded by a pair of Johns—Verrett and Hampton—Laissez Versez aims to bring the city a new line of high-quality spirits distilled right here in the Capital Region. The duo is initially focused on whiskey production but has added three flavored liqueurs, to the lineup as well. Along with its flagship whiskey, the distillery offers a cold brew-style coffee liqueur dubbed “C’est Bon,” a cinnamon liqueur named “Flambeaux,” as well as a blueberry liqueur. The C’est Bon has a complex palate, flavored with caramel, chocolate, vanilla, molasses, sugar and cherry, while the Flambeaux includes both cinnamon sticks and ground cinnamon, along with ground clove and cayenne pepper. Verrett is constantly tinkering with all of his recipes, and he has a back log of different flavor ideas for future liqueur batches, including apple, strawberry, blackberry, wedding cake and even coconut when he develops a rum recipe he’s proud of. 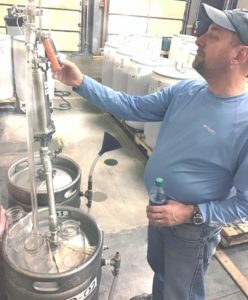 It’s a small-scale process at the moment, producing 24 or 25 gallon batches at a time that typically take three to six weeks from production to bottling. As of now, it’s all produced with corn sugar, but Verrett has future plans to use cane sugar and open a line of rums. For now, customers can snag a bottle from the distillery itself, located at 14141 Airline Highway, but Verrett plans on introducing the product to local grocery stores and bars in the coming months. Follow the distillery on both Facebook and Instagram for updates on the latest products and when/where you can find it in stores.